Diwali ain’t foreign anymore to these Amazonians! As we get ready to light up our homes with diyas, we at Amazon are also celebrating diversity and inclusiveness. We speak to some Amazonians who aren’t from India, but are soaking in the festive spirit! There is festivity in the air and for those at Amazon India, who are miles away from their homes, Deepawali as a festival is not foreign anymore. They have spent considerably less time in India, but the festival of lights has begun to mean something to them now. 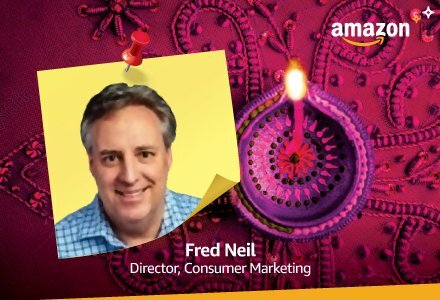 Fred Neil: I am so honored to be part of the India Amazon Team and so proud of the passion and extraordinary effort they have all put into making this Diwali a special session for our customers across India. My special wish for all Amazonians during Diwali is for you all to enjoy this special holiday with your families and celebrate your accomplishments and hard work during the Great Indian Sale that concludes just before Diwali. 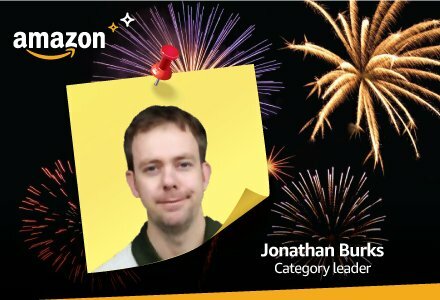 Jonathan Burks: I wish all of our Amazonians a wonderful holiday where they are able to take time to spend with family and friends. 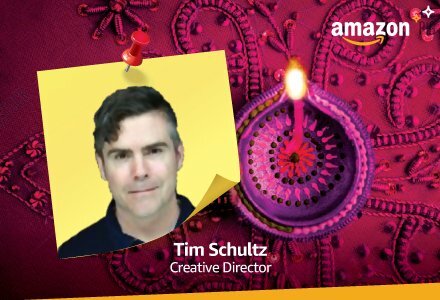 Tim Schultz: I hope everyone at Amazon gets to enjoy this time with their families. Even while we’re working so hard to let others give the perfect gift, we should never forget that family is the most important part of anyone’s life. 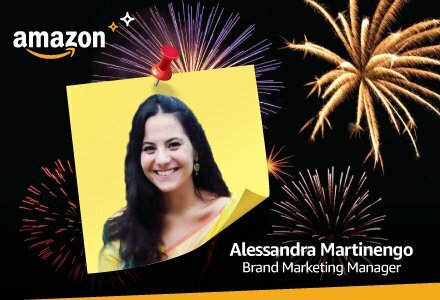 Alessandra Martinengo: I wish all the Amazonians a very happy Diwali and a year filled with prosperity, success and “Smiles”. As suggestion, have some coffee (best if Italian J) to survive the sweet feast.